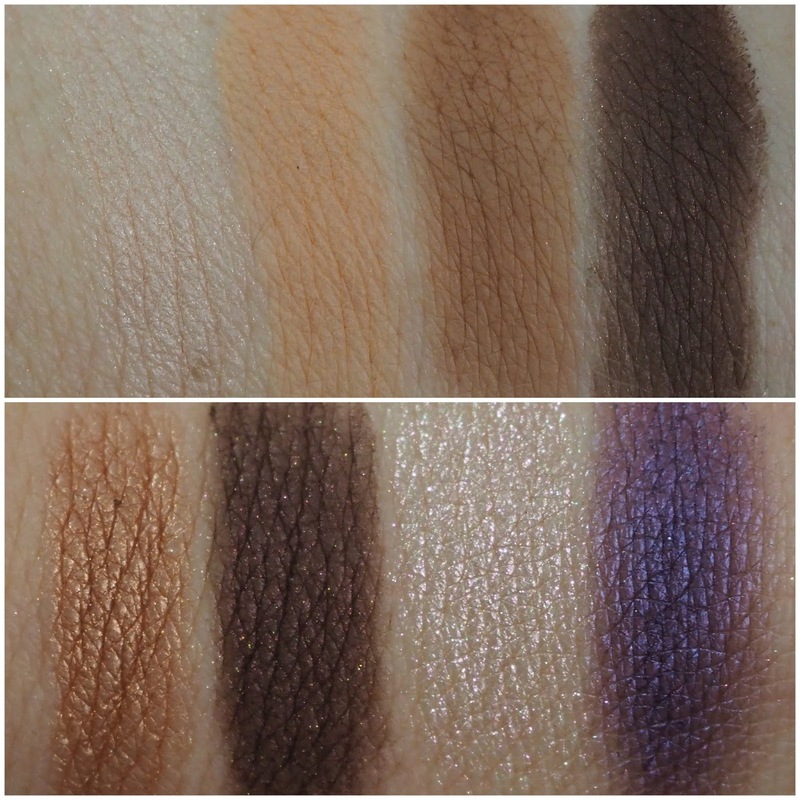 Urban Decay On The Run Collection review, makeup looks, video! I love how colourful the packaging is, that they're really distinctive and that they have a grand big mirror inside. Each palette is €30 each which is decent value for eight shadows, and there's a mix of new and existing shades in the palettes. There's a range of finishes in the palettes too from matte to satin to metallic, holographic and sparkly too. Bailout is described as "criminally good looking" much like my good self and is one for the neutral lovers with some gorgeous neutrals along the top row which all perform really well. The bottom row isn't as impressive and while I found that row to swatch really well on the back of my hand, they didn't translate onto the eyes as opaquely. Now I'll continue to use it because once I work with the shades a bit, they're beautiful on. I think Chopper works best when applied with a wet brush and while I applied Double Up in the video below with my finger, I found it to be a bit chunky and there was some fall out. So I'd advise to apply your foundation afterwards. Pickup is beautiful and is a pale metallic lavender with pink micro sparkles. It works best when applied with a finger and is the perfect shade to add a bit of sheer sparkle on top of your eyeshadow. I'm obsessed with the shade Vice and when applied wet, it's stunning. Applied dry, it needs a bit of extra work. The palette is beautiful, but of the two I was sent, it's not my favourite, but I'll still use it no doubt. Shortcut was made for me and my green eyeballs! Again there's a mix of mattes, satins, shimmers and a beautiful sparkly glitter. When I asked online which eye everyone preferred without having said what products I used, the majority said this one and I had to agree. 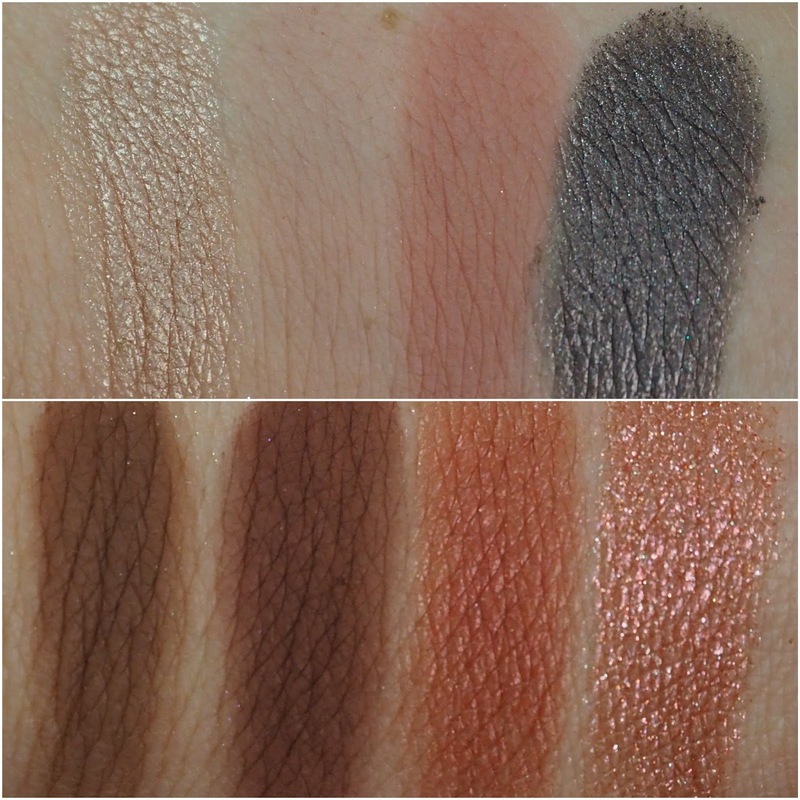 I found that all of these shades both swatched beautifully and performed equally as well on me. The shade Lace doesn't show up too much on my skin tone but it makes for the perfect shade to blend out Shortcut. Sin and Afterhours complete the top row and both complement and contrast against those two middle shades. The bottom row is my favourite with that rich true brown Back Alley, the burgundy brown that is Rendezvous (if you sang Craig David, we are pals), Gash (the less said about that name the better), but it's a red/orange toned metallic and then we have Zone. Like if I was an eyeshadow, I'd be Zone. Bright, sparkly, in your face and would just put a smile on your face! These shadows perform better on me as a group over the first palette and because they're shades I'd tend to reach for anyway, that's what I've been doing. You can find the palettes in stores and online too. Will you be picking either of these up? 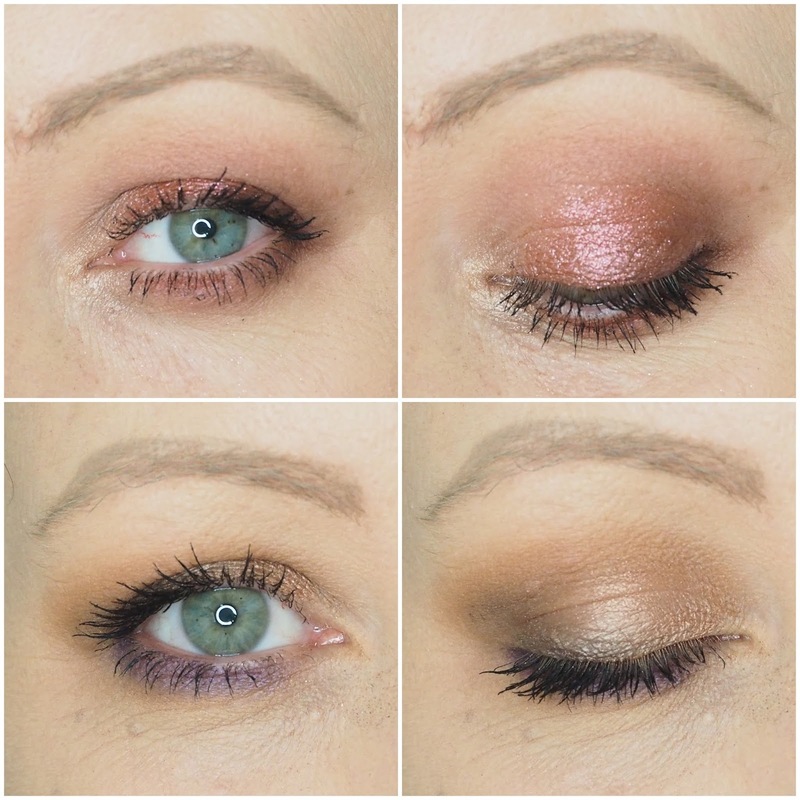 114 Likes, 6 Comments - Karen Constantine (@lovelygirlybits) on Instagram: "Tonight's This Is Not A Tutorial shows two of the new On The Run palettes from Urban Decay in..."